The Membership Committee has begun a new tradition of the “member spotlight” where we will announce and learn all the many interesting and fun things about our congregants. Donna Wolf: Donna has been an active member of Beth David since 1988. She founded the Chesed Committee with Rabbi Adler and is one of the first two women to serve on the Board of Directors. She is married to Dr. Tony Capitao, a college professor and "Portuguese cutie" (direct quote!). Donna is a proud dog mom to Elvis and human mom to two sons, David and Ari. When she is not busy helping out at Beth David, she designs jewelry, writes books about Jewish topics, and collects and sells vintage clothing. 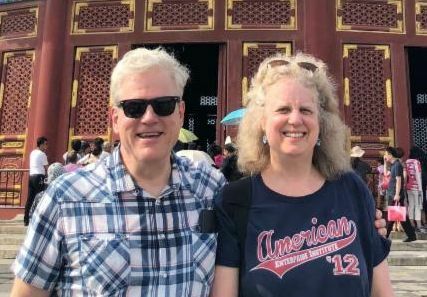 Jonathan & Galya Greenberg: Galya and Jonathan Greenberg were members of Beth David from 1986 through 1994, and rejoined the congregation in 2002. Galya grew up in West Hartford and is a Jewish educator, teacher, and consultant, who currently serves as director of a Bible curriculum used in Jewish Day Schools across North America. Jonathan grew up in Springfield, MA, and is a psychiatrist at Saint Francis Hospital. They have three grown sons, three wonderful daughters-in-law, and five grandchildren. Jonathan served on the Board of Directors as a Vice President in the 1990s, and Galya is finishing her fourth (and final) year as chairperson of the Ritual Committee. They share their home with Mufassa, their beloved 11 year old Golden Retriever. 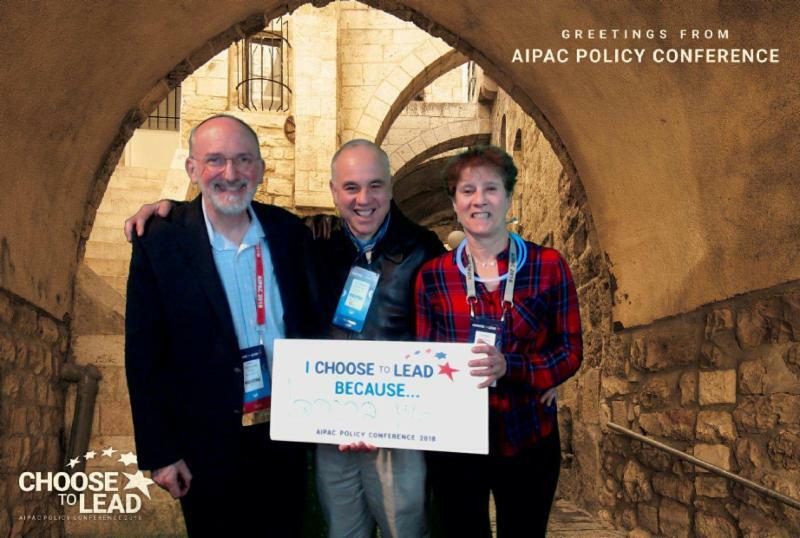 The accompanying picture was taken last year at AIPAC Policy Conference in Washington, D.C. They are looking forward to attending this year's conference in a few weeks. They enjoy hiking, visiting National Parks, Jewish heritage tours in Europe, reading, and binge watching TV series. 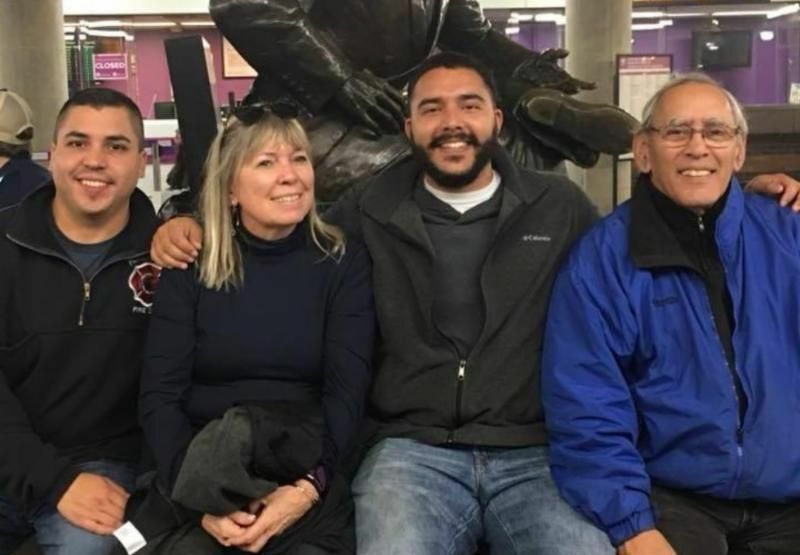 In May, they will be traveling on a 10 day riverboat and hiking tour of the Snake River, following the trail of Lewis and Clark from Spokane to Portland! 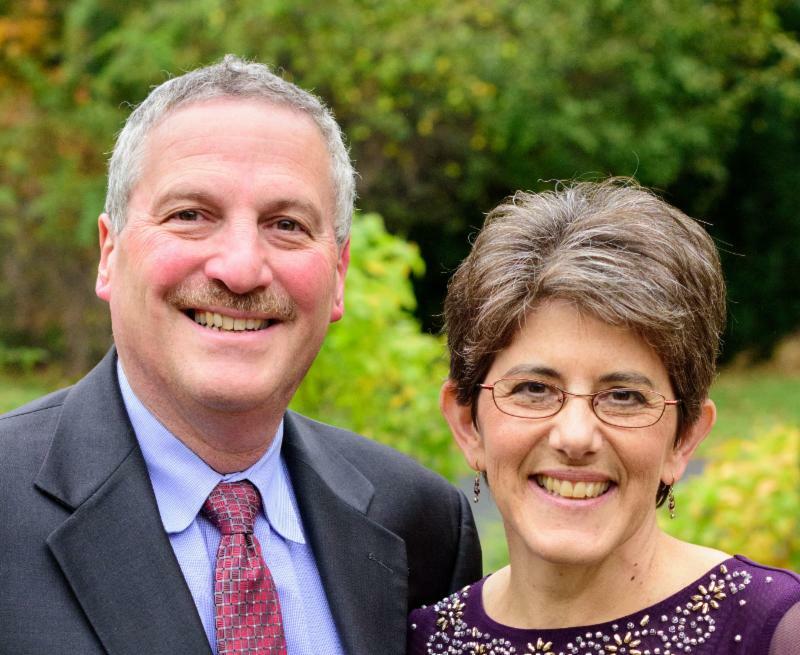 Laurie Feldman and Steve Gilles: Laurie and Steve are new members of Beth David. They met at the University of Chicago Law School. Now Laurie works as an appellate prosecutor for the state of CT and studies Talmud with Rabbi Adler (for the past 11 years!). When she is not busy on her cases, Laurie likes to learn and speak Hebrew, keep in touch with her 6 children who live both domestically and internationally, and take an oil painting class in town. 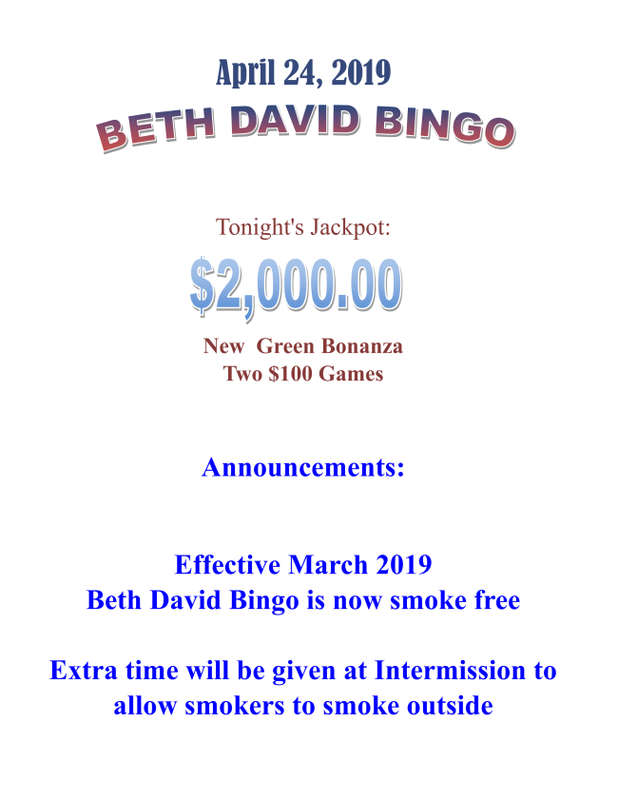 Barbara and Jonathan Becker: Barbara and Jonathan have been members of Beth David for over 25 years. Their three children grew up in the shul. They took a two-year stint as co-presidents of the shul in the early 2000's and stayed married! Since then they have remained active in synagogue events serving on committees and being regulars at services. Their kids, Eli, Naomi and Uri are active in their respective Jewish communities. Eli and his wife Sara, live with their two cuties Hillel and Aryeh in Ma'ale Adumim, Israel. Naomi and her husband Noah live in the Boston area and Uri lives in Jerusalem. Barbara and Jonathan look forward to Israel trips and Boston trips and spending time with friends and family wherever they are. They are grateful for all of their blessings.